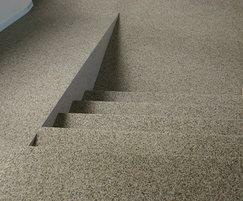 Addatex Stone Carpet offers many advantages over traditional surfaces. When walked on in bare feet, it feels pleasantly warm and has a soft sensation similar to carpet, while its resistance to wear is similar to ceramic tiles. 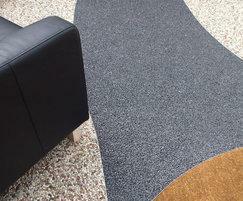 Addatex Stone Carpet can help reduce noise from pedestrian traffic. 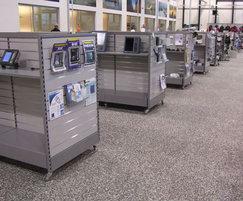 It has an open matrix that allows dust to fall into the open pores, preventing dust fly up, and enabling dust and spillages to be easily removed with a vacuum cleaner. 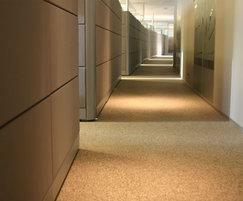 The air trapped within the structure of the Addatex stone carpet is around ambient air temperature, so a stone carpet floor will always feel pleasantly comfortable within a few degrees of room temperature. 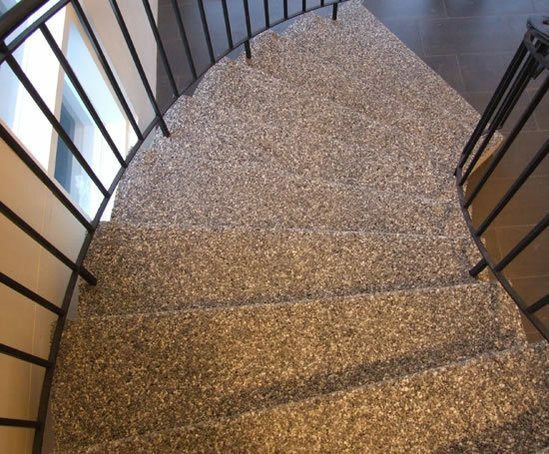 For example, if a rooms temperature is around 20°C, the stone carpet will have an average temperature of approximately 14-15°C. 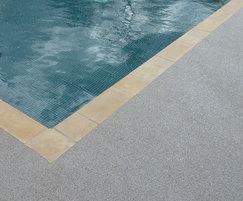 Underfloor heating can also be used to create a warm floor throughout the year.